Chicas Latinas de Sacramento is excited to announce our 2nd Annual Back to SchoolDrive, “Starting Off on the Right Foot” benefiting Woodbine Elementary School in South Sacramento. 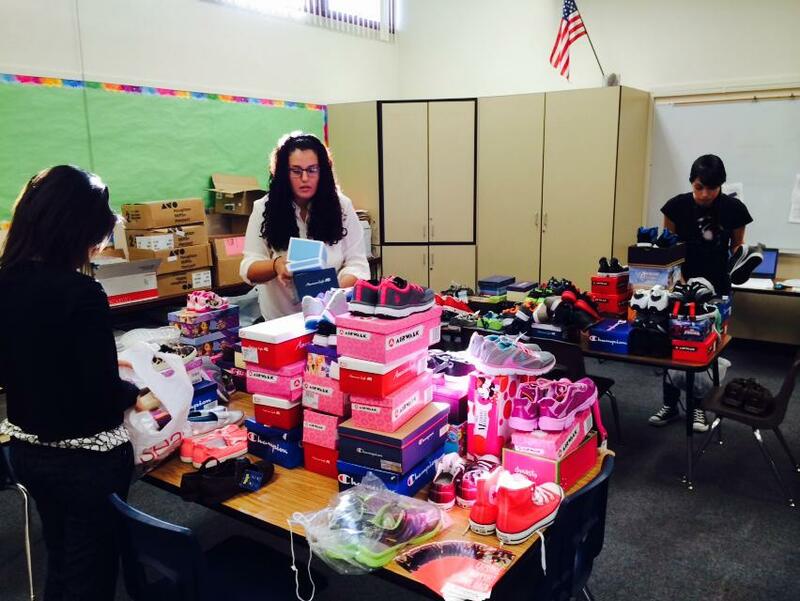 Last year we sponsored Hagginwood Elementary School and collected over 300 shoe donations (closing in at 500 after monetary donations) for their students in need — and we need YOUR HELP in accomplishing our goal of 700 pairs in 2015. 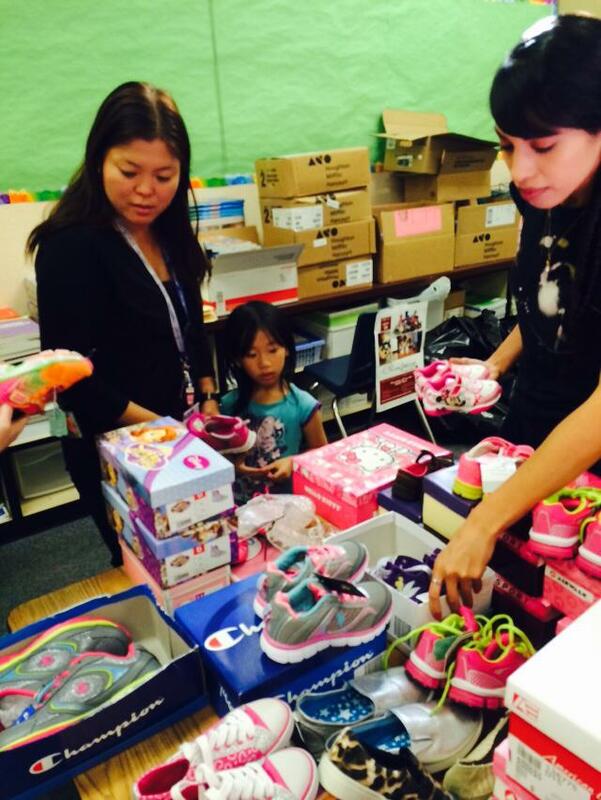 The shoe-drive idea is simple… new school year, new shoes! Shoes that fit and are in working condition, free of holes and torn soles. Back-to-school shoes, basic for most, but often a luxury item to many families and children in socio-economically disadvantaged communities. 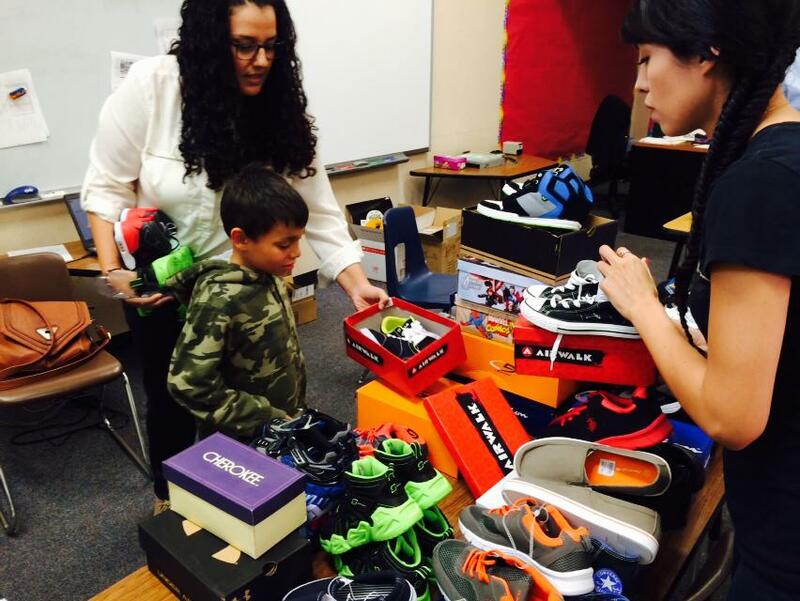 Let’s rally together in an effort to provide shoes for these students as they enter into the new school year. Please consider sharing our event, donating, and helping us reach our goal. ✨A lot of area stores are offering great deals for back-to-school shopping. We’ve found NEW shoes as inexpensive as $7! 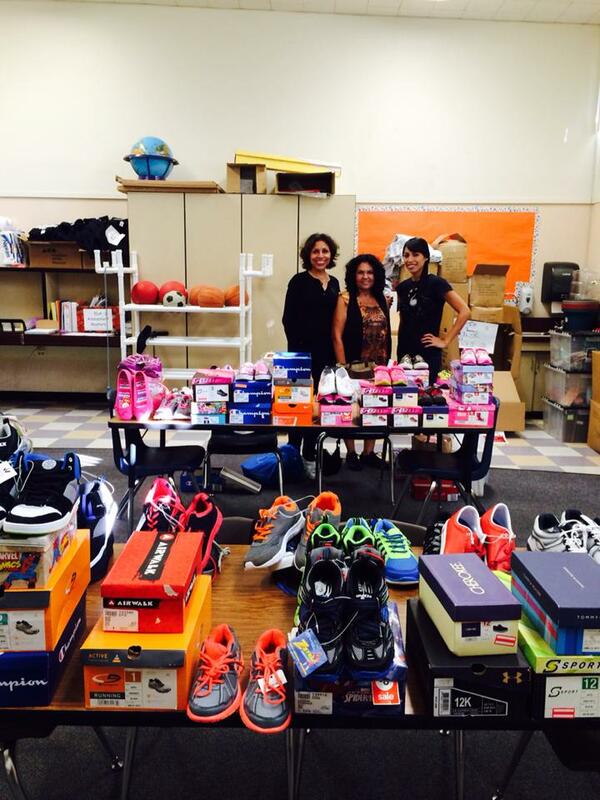 You can also donate directly to the drive at http://bit.ly/ChicasShoeDrive2015 (100% of funds raised will be used to purchase shoes). 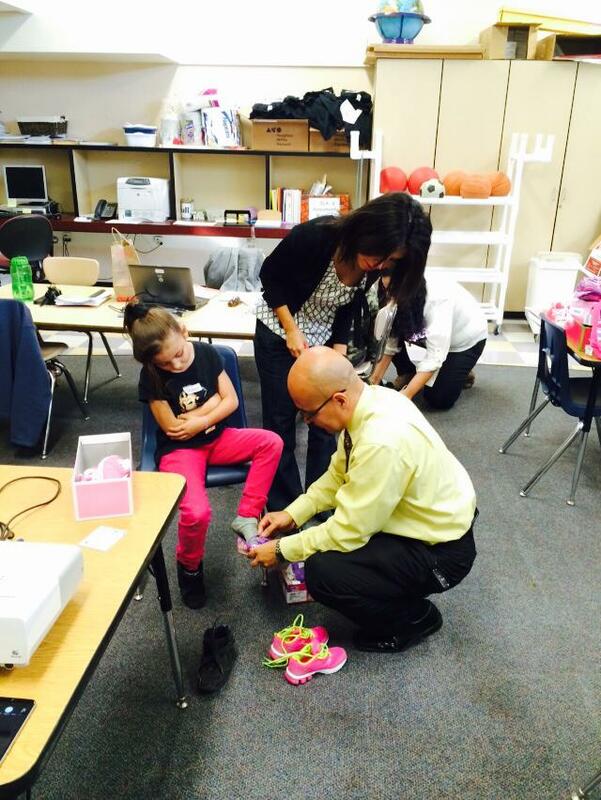 Fine print: Shoes should fit 5-12 year old students, boys and girls. Shoes MUST BE NEW. (Let’s give these kids something special that they’ll truly remember ~ a shiny new pair of kicks!) It’s not “technically” part of the drive, but we’ll also accept new socks. 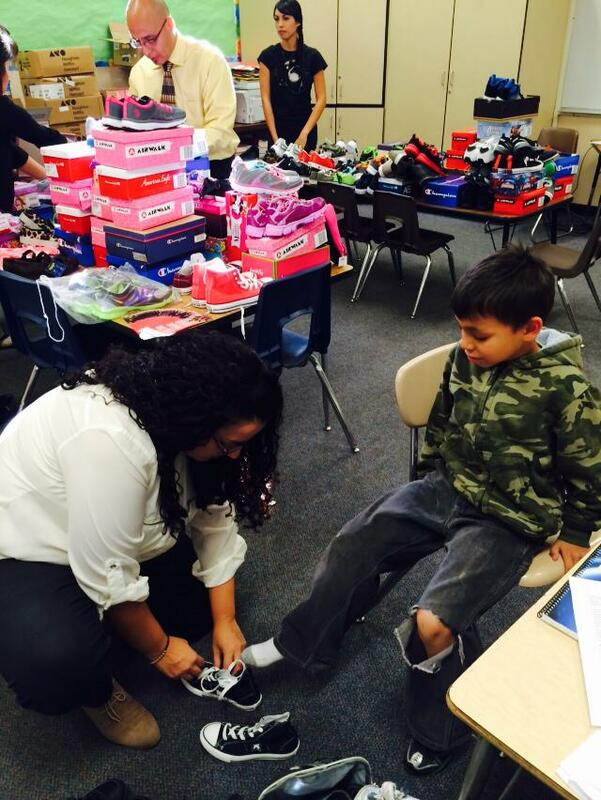 We were shocked last year by how many kids came to us without having socks on their feet.